Oregon Women for Agriculture opposes any additional taxes that would be burdensome to business owners, farmers, ranchers and the citizen of the state. Measure 97 has been billed as a way to make out of state businesses pay their fair share. However, that is not the case. It will affect many Oregon businesses, and ultimately all the residents of the State. It will affect family farms who buy their fertilizer, fuel and other inputs from local companies like Wilco and Coastal Farms. A study by the nonpartisan Legislative Revenue Office (LRO) concluded that most of this tax on sales would end up being paid by Oregon consumers through higher prices on nearly everything we buy – including gasoline, utilities, clothing, medicine, and even food – costing the average Oregon household over $600 every year. This measure’s $6 billion tax increase on companies’ sales in Oregon would badly damage our state’s economy and job market. In fact, the in-depth LRO study concluded that this giant tax increase would result in over 38,000 lost private sector jobs in Oregon. Because this would be a new tax on gross sales – not profits – businesses would be required to pay the tax on their total revenues, regardless of whether they make a large profit, a small profit, or no profit at all. That would mean many employers would have to raise prices or cut jobs, or both. The Portland Tribune calls it, “… a sales tax and will be most burdensome to the low-income Oregonians who can least afford to pay.” Editorial: Beware of sales tax lurking in disguise. 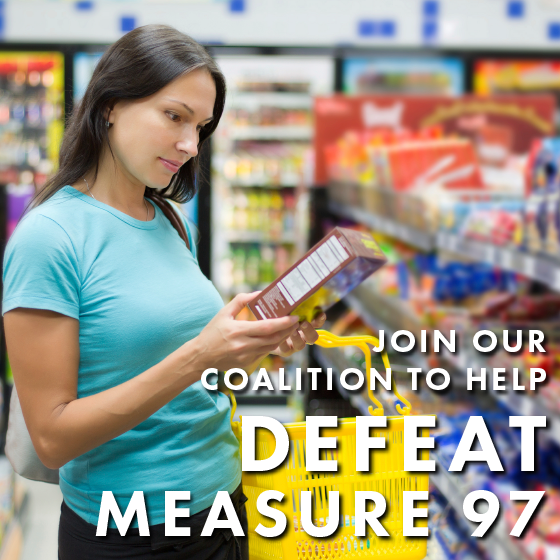 Please take some time to learn about this measure and join us in voting NO on Measure 97! See also editorials from the Who will pay Measure 97’s tax?, The Bend Bulletin More bad news about Measure 97, The Capital Press Oregonians, not corporations, will pay IP 28 tax, and the Wall Street Journal Oregon’s Regressive Tax Referendum. OWA supports measures that will provide tax simplification for farmers, ranchers, and business and opposes any effort to make tax laws more burdensome. Please visit No on Measure 97 for more information.